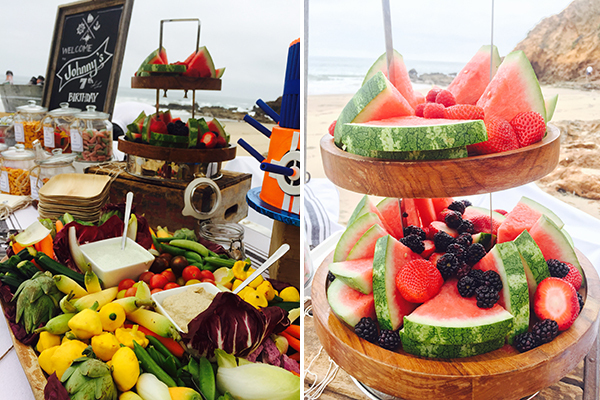 What do you get when you have a beautiful Southern California day, a semi-private beach, a big birthday and a darling little boy? Why the best ever 7th birthday party! 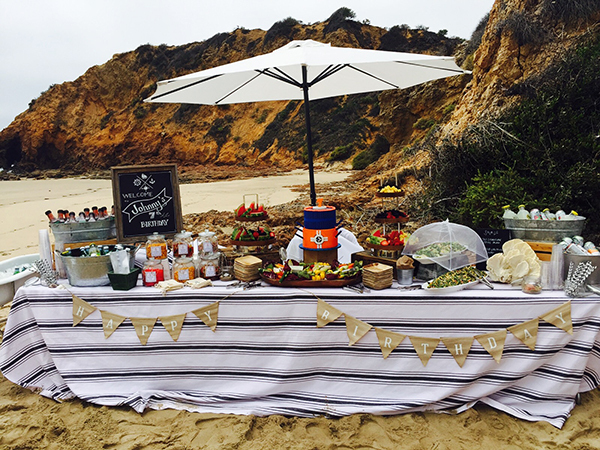 Here are a few of the shots we got of this darling day. Adrienne really outdid herself with the whole theme. It was perfectly suited for young and old as well as the locale. 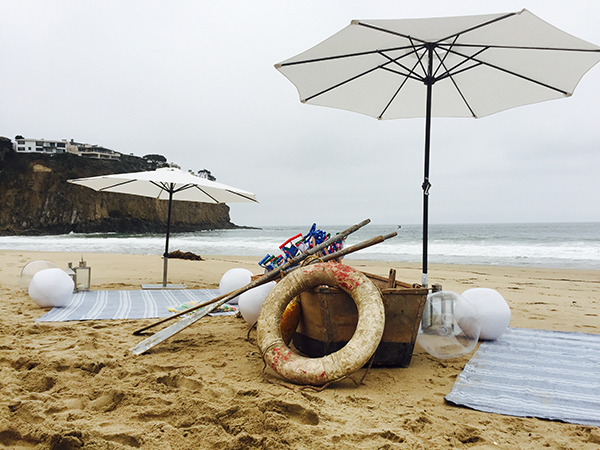 Umbrellas in the sand, beach blankets, beach balls, a boat and oars… all help set the scene for a great afternoon. 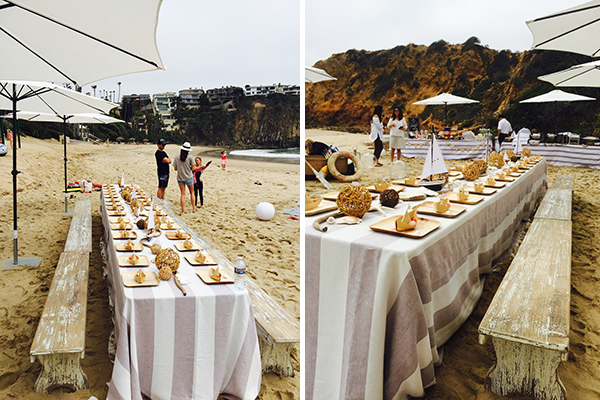 The tables had an elegant yet rustic feel with striped linens, neutral tones, bamboo plates and paper boats. 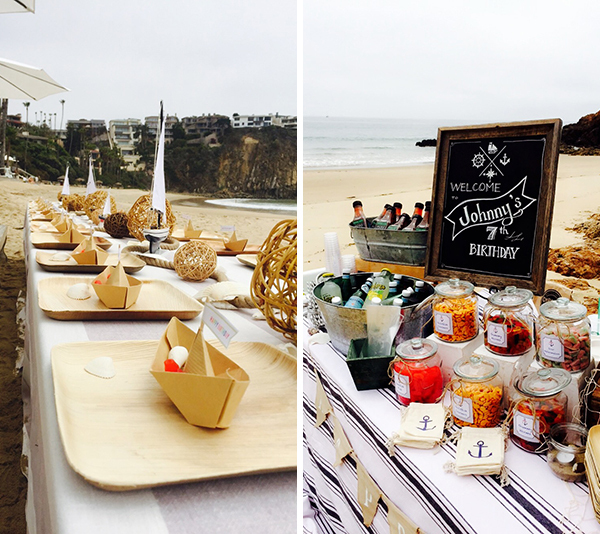 In addition to “Cake by the Ocean…” as the song goes… there were plenty of delicious beach themed munchies. 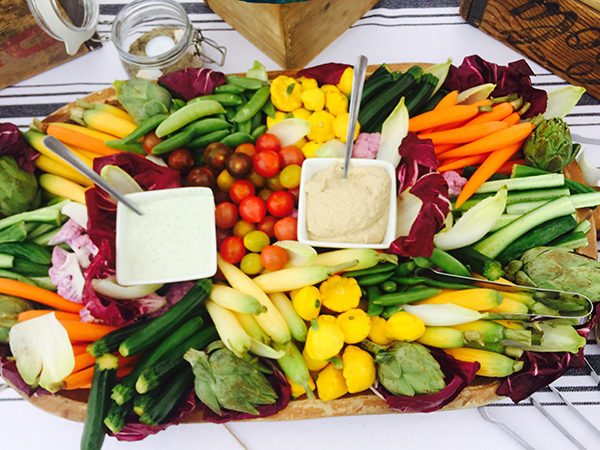 Our signature TGIS salad along with a green salad, fresh fruit, veggies, hummus and dips provided fresh healthy options for the adults. 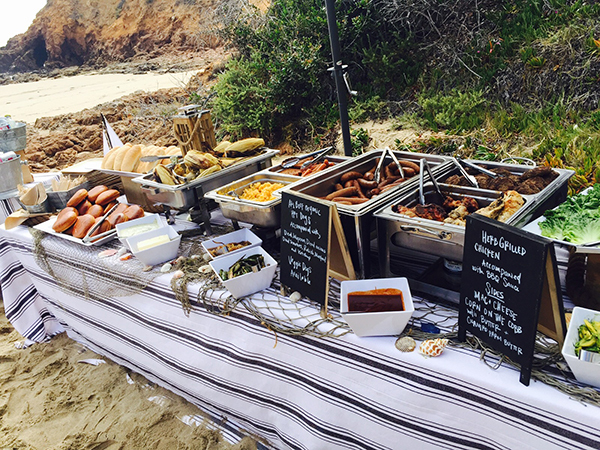 The kids and adults both enjoyed the organic hot dogs with all the fixin’s, grilled chicken with BBQ sauce, Mac & Cheese and corn on the cob. 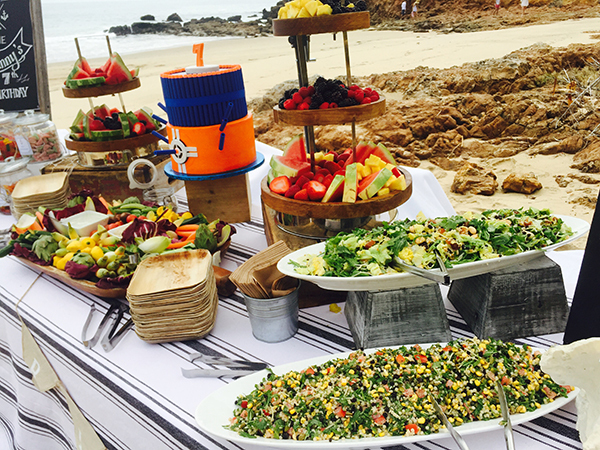 Perfect grub for the Laguna Beach setting. 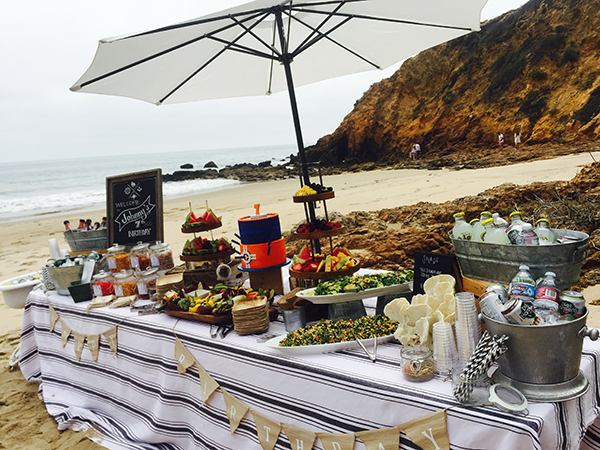 Even the beverages and treat bar matched the seaside theme with gold fish crackers and candy available for take-home in anchor adorned canvas bags.